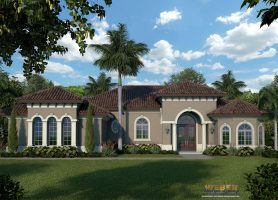 Impressive 12 and 13′ ceilings grace the common areas of this just under 2,000 square foot, 1 story house plan, creating an easy living open floor plan for all to enjoy. 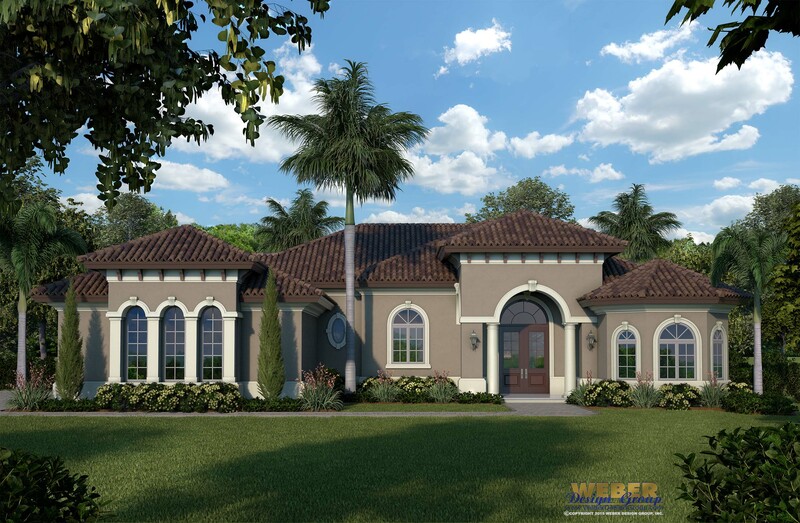 In keeping with a Mediterranean influence, this small house design features ample windows and a tiled roof with large overhangs that also assist with energy efficiency. 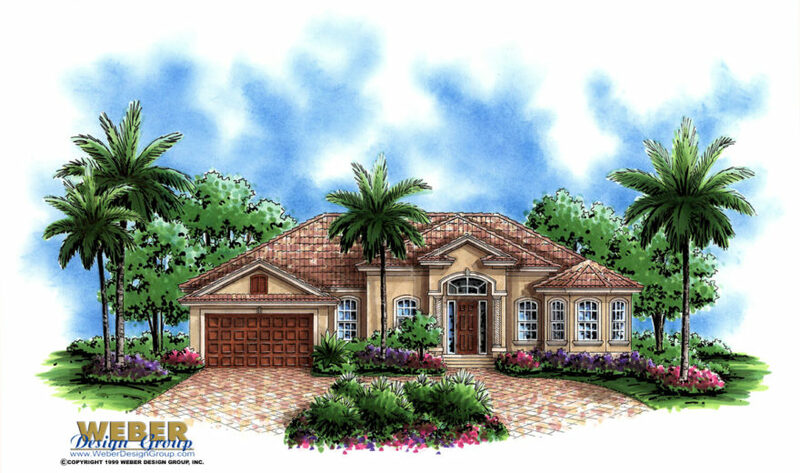 The great room leads out to a large covered lanai where the homeowner can host friends and family enjoying the indoor and outdoor amenities like a pool. 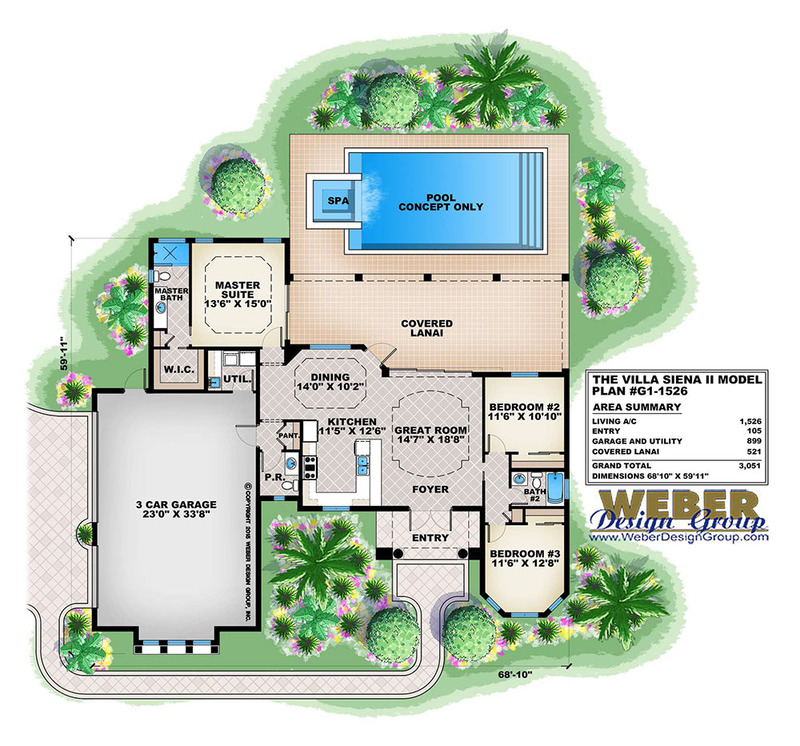 The home plan features three bedrooms, two full baths, and a pool bath within 1,786 square feet of living area and a grand total of 2,800 square feet under roof. 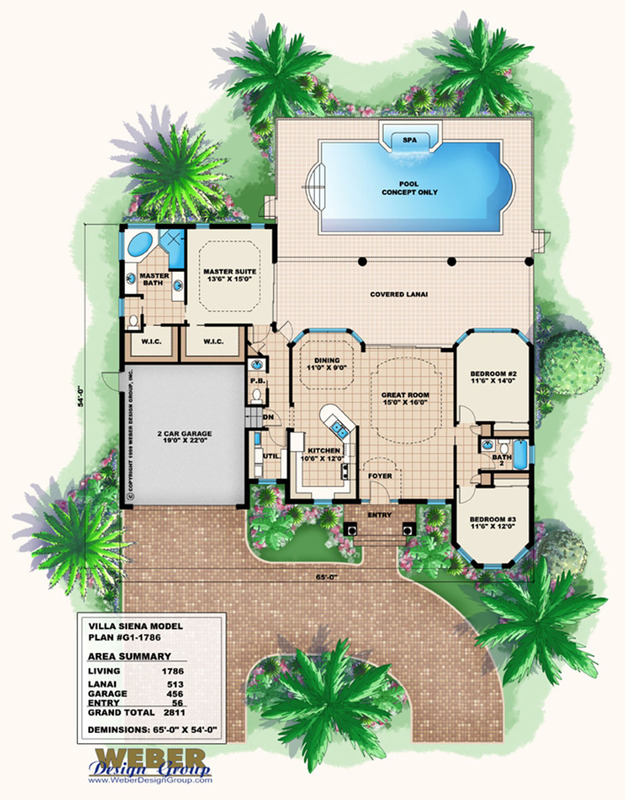 The master suite has two large walk-in closets, two vanities, a corner tub and separate shower.